To learn all about our clinic and the many excellent treatments we provide then please click here to go to the main page. ﻿Acupuncture has been used for thousands of years in China. If you visited China today you would often see it used alongside other Chinese and Western Medical treatments in modern technologically advanced Chinese hospitals and clinics. The World Health Organisation now lists over 120 conditions which it believes Acupuncture can help in the treatment of. The National Health Service in England now includes the use of Acupuncture in its hospital services for conditions like back pain and migraine. Acupuncture produces its effects in healing by stimulating and circulating the vital energy - Qi (pronounced chee) in the human being. The Chinese give the name Qi to the energy that circulates through our bodies, animating them and bringing us to life. When we look around us in the scientific Western world, where we see that all our televisions, cars, and all other things need some form of electrical energy to work; where living plants create and use energy from the sun through photosynthesis; then it is very simple to understand that our bodies too are running off some forms of energy. Chinese Medicine uses Acupuncture to manipulate the energy inside the human body. Sometimes the energy has become blocked, other times it has become weak in an area. The steel Acupuncture needles are used like conductors to move and regulate the vital Qi energy to restore the body to its' proper functioning. 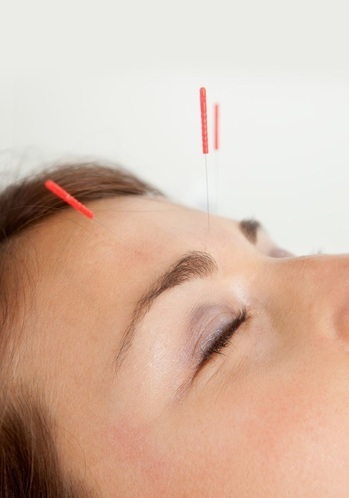 The modern disposable needles used in Acupuncture are one hundred per cent sterile. There is no possible chance of any infection from them. Unlike large western needles used in injections, these are ultra-fine, often thinner than a strand of hair. They are super sharp; thus when used by a competent professional, they will ensure a very quick and smooth pain free entry into the body. Needles are generally left in to do their work for twenty to forty minutes. When in a comfortable environment like my clinic, most patients find it a relaxing and pleasant experience. In my clinic in Leixlip, I often find patients are resting so peacefully during their Acupuncture session that some of them will even drift off into a sleep. Is Acupuncture just a placebo ? Price ~ A session of Acupuncture costs only 45 euro and can last up to 1 hour. Sessions often include free Infra-Red Heat Therapies, Tuina Medical Massage and free Cupping Therapy or Moxibustion if required. If you request to take Chinese Herbs with the Acupuncture, then they are sold at a massive discount of seventy five per cent. Which means you will only pay 15 euro for a tub of premium best quality powdered herbs which will provide a full two week supply of herbs. To learn more about our clinic and all the excellent treatments we provide then please click here to go to the main page.